So we had to try it out. Actually, they had a lot more claims but we merged similar ones and only put in the claims we agreed with. 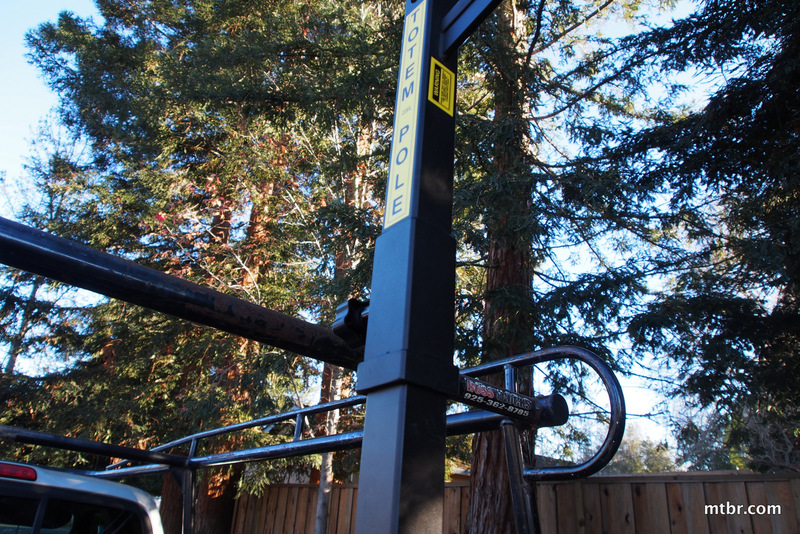 So we think the features above are true and the Totem Pole Bike Rack actually delivers on its promise. How is it so compact? Six bikes in less space that it takes to transport four? 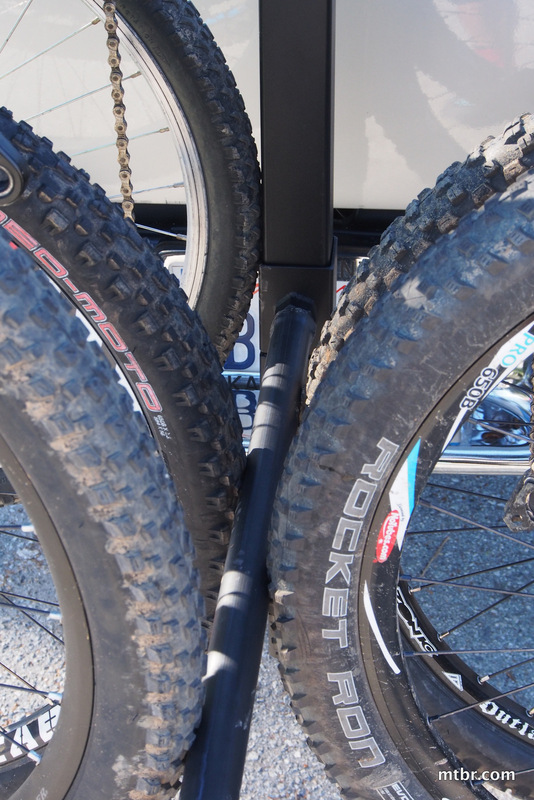 Yes, the key is the bikes are resting on each other with the front tires. 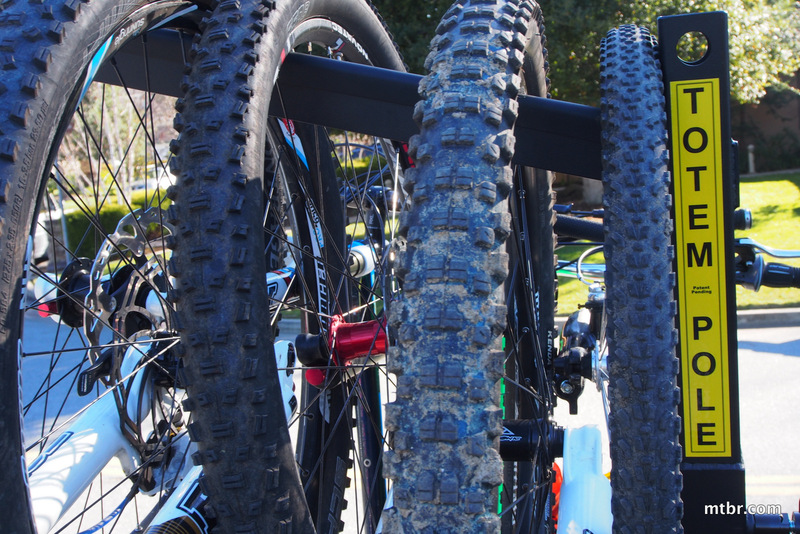 The tires by nature offer natural cushion from any damage. 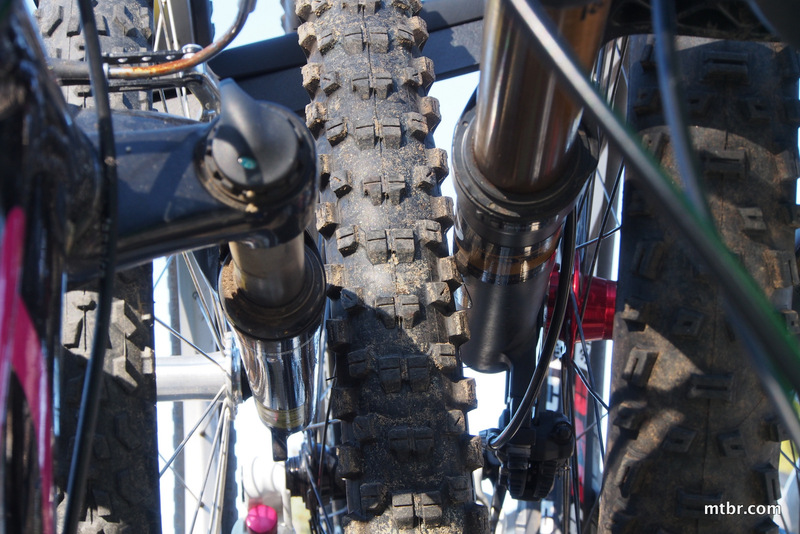 The handlebars are at opposite sides and away from each other in an alternating pattern. 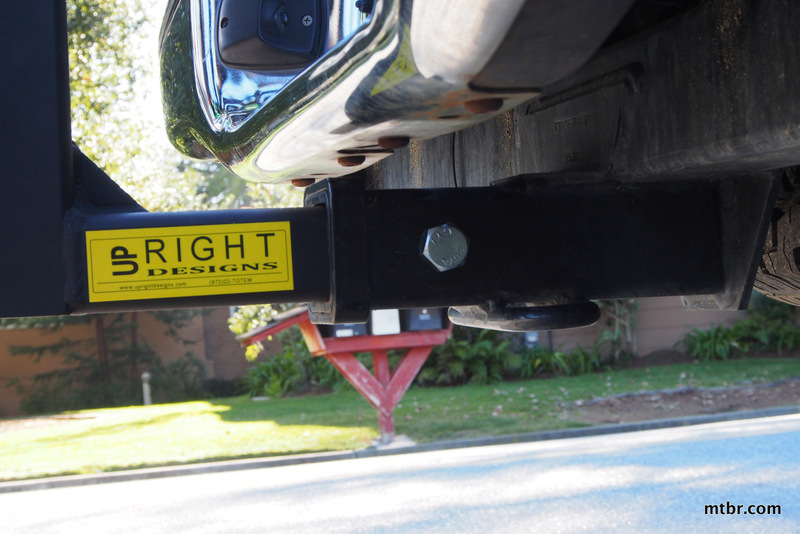 Furthermore, the bar to hang the front wheels on is sloped upward. 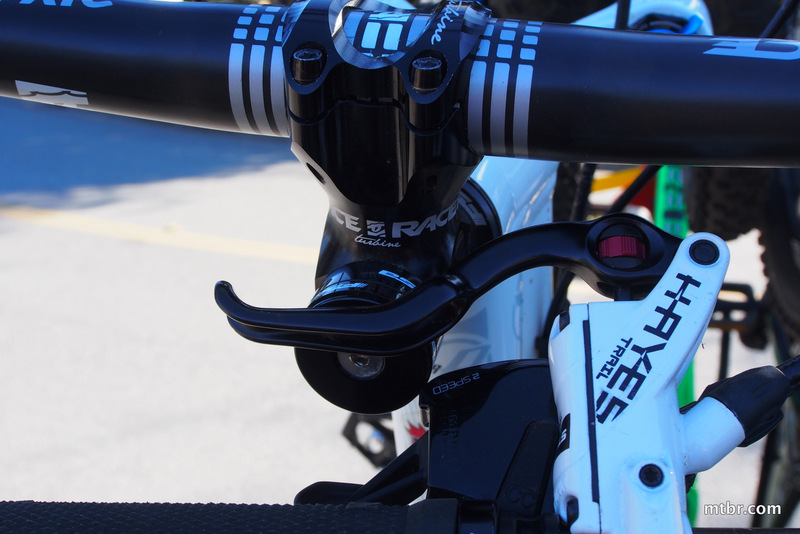 This ensures that the handlebars are at a different height from each other, giving them just enough room to avoid interference. 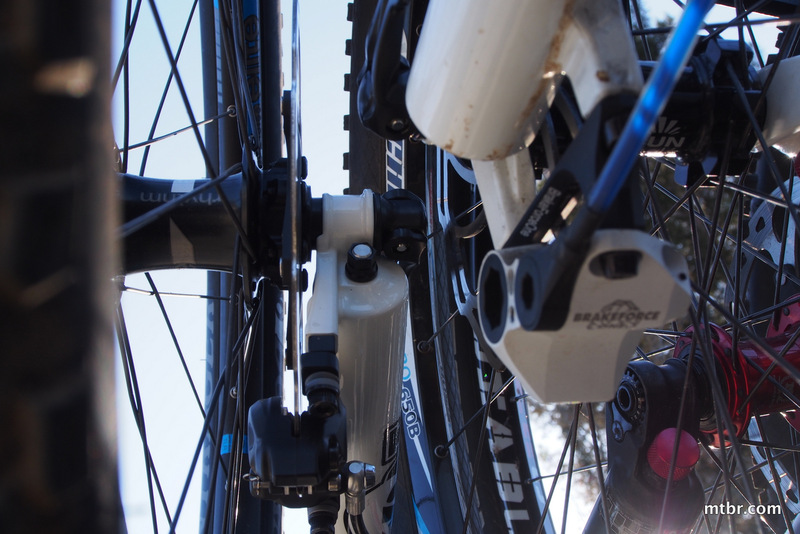 The rear wheels of the bikes and cranks are a little more at risk as there’s nothing holding them in place and they’re free to bang on each other. 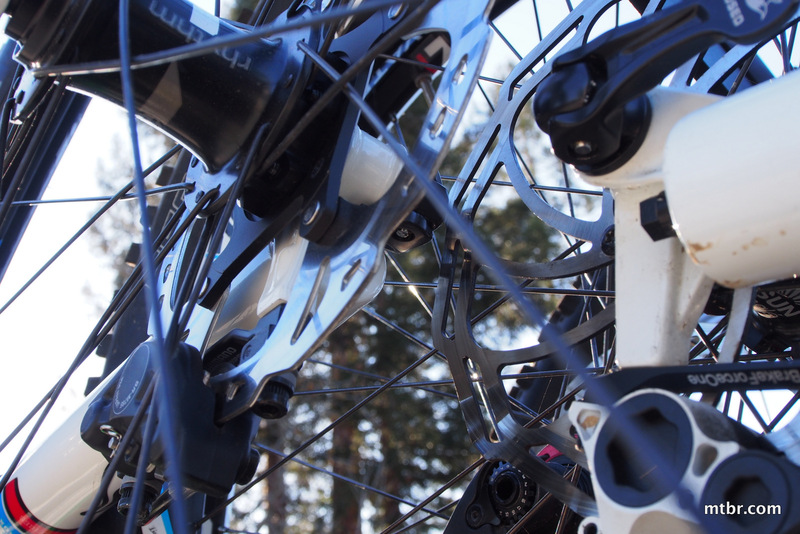 Special attention needs to be taken to make sure cranks and disk rotors and skewers are not in contact with other frames. 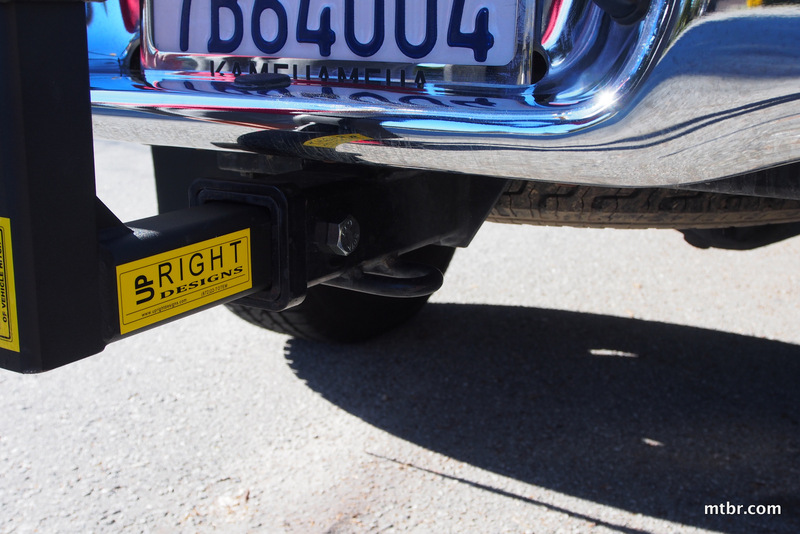 Great idea-only problem is that the Popo will pull you over for an obstructed license plate. Happened to me. 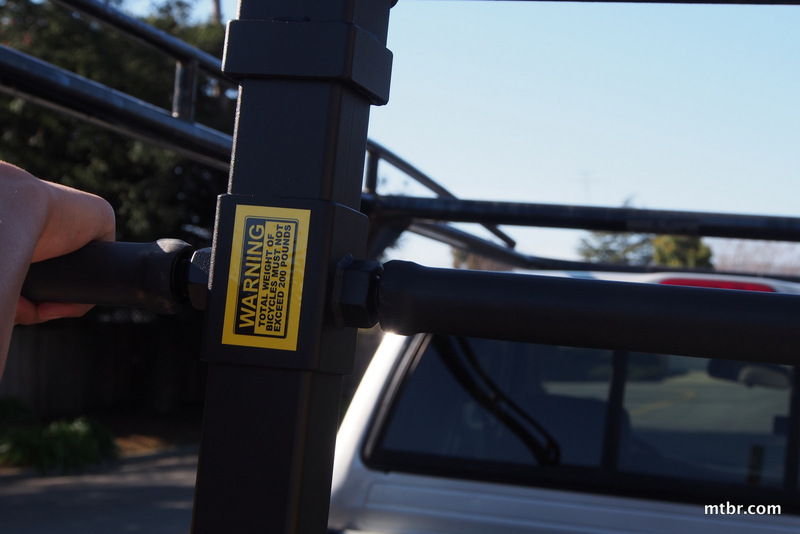 Show me a bike rack that does not block the plates…. I’m looking at getting a MTB team going at my kids’ High School next year. 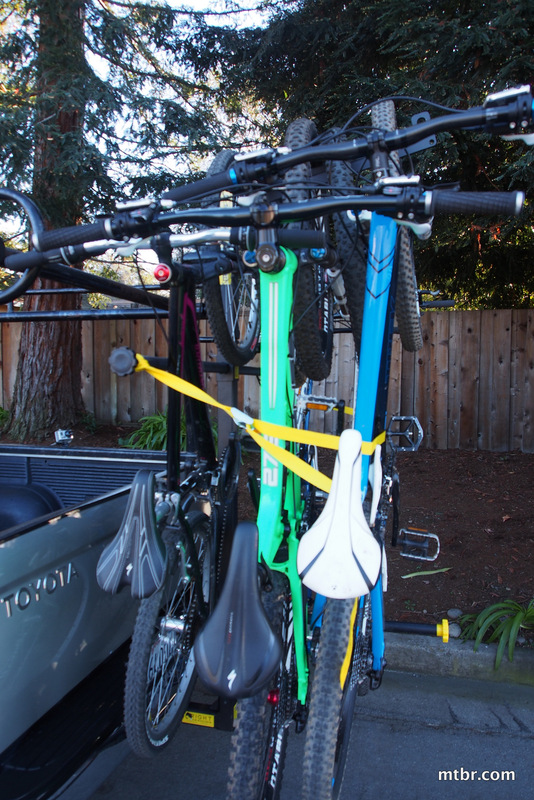 My van takes 6 passengers, this rack takes 6 bikes – Perfect! I just purchased the Totem Pole and tried it out yesterday for the first time. I love it! 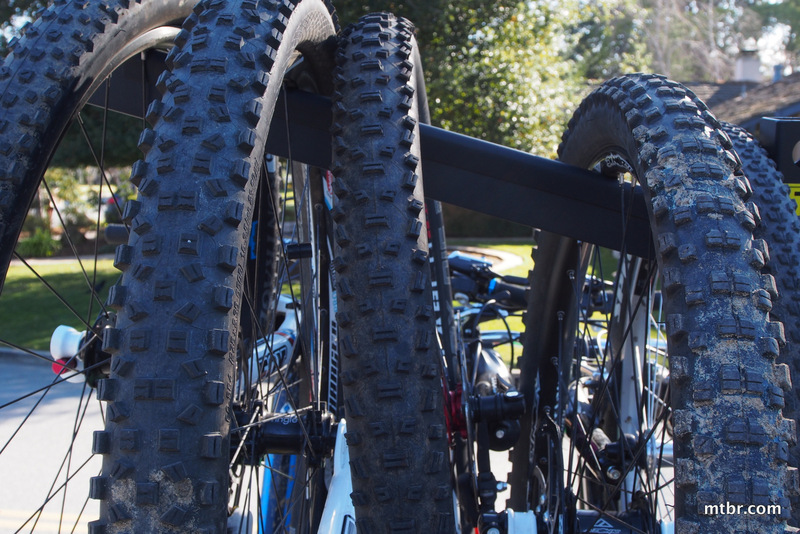 Here’s why: first, my wife and I have four kids, and we all love to ride, but going on either short trips (we live near Valley Forge National Park) or on vacation with 6 bikes has been impossible. I think the Totem Pole has finally solved the problem. 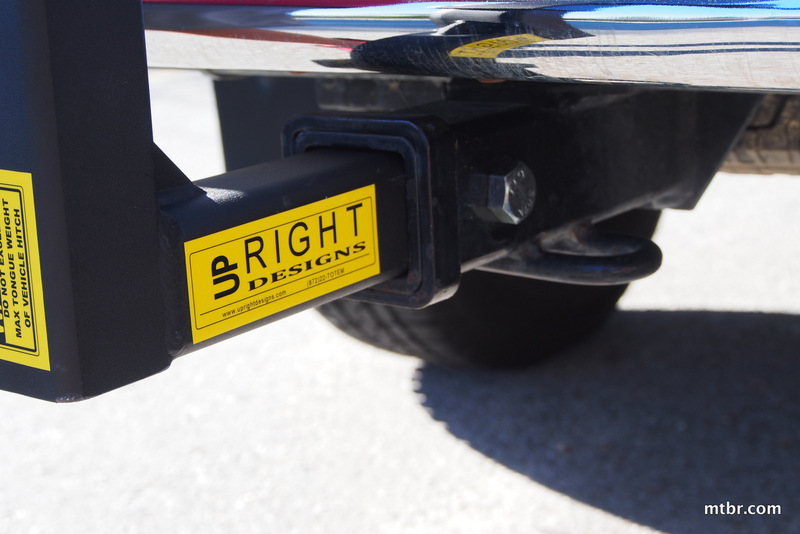 I assembled the product with ease onto my Honda Pilot and quickly stacked our bikes as outlined in the easy-to-follow directions. I even included my $1000+ road bike (which I wassomewhat nervous about doing). Then I took it for a spin, because I wondered how the bikes would do on the road and whether there would be any banging or scratching. While I didn’t go any any highways (yet), all the bikes remained secure on the rack, no jostling or scratching at all. 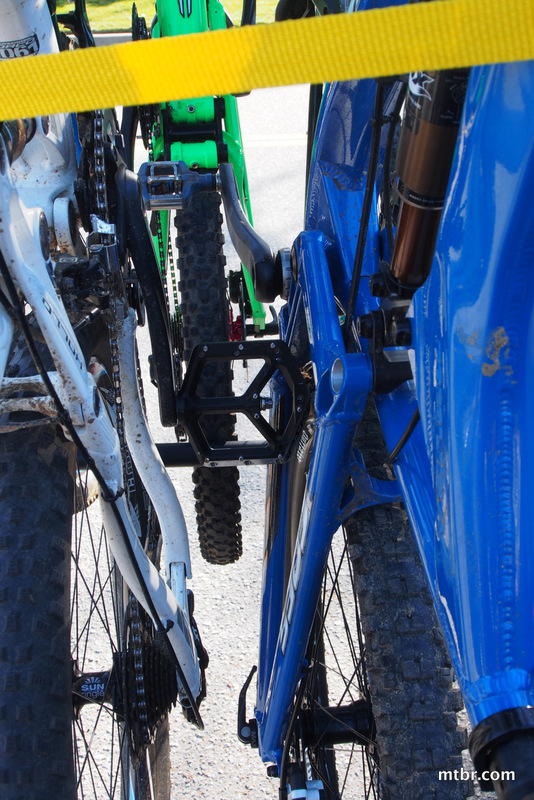 Btw, in addition to my racing bike, I had a men’s mountain bike, a women’s hybrid bike, and three kids bicycles of vary sizes, and it amazed me how they all fit on the rack! Can’t wait to use it regularly this spring! Hope this is helpful to anyone thinking about buying one. let’s not pretend to like every product out there that come’s out. review it for at least 3 months of normal use…that seems like the cycle time of new product roll out these days. I’d hate to have my $5K bike on this thing parked at the coffee shop and someone backing up to it cause it’s sticking out in the middle of parking lot. …is there a weight limit on this product? Seems like you have 6 All-Mountain on it? 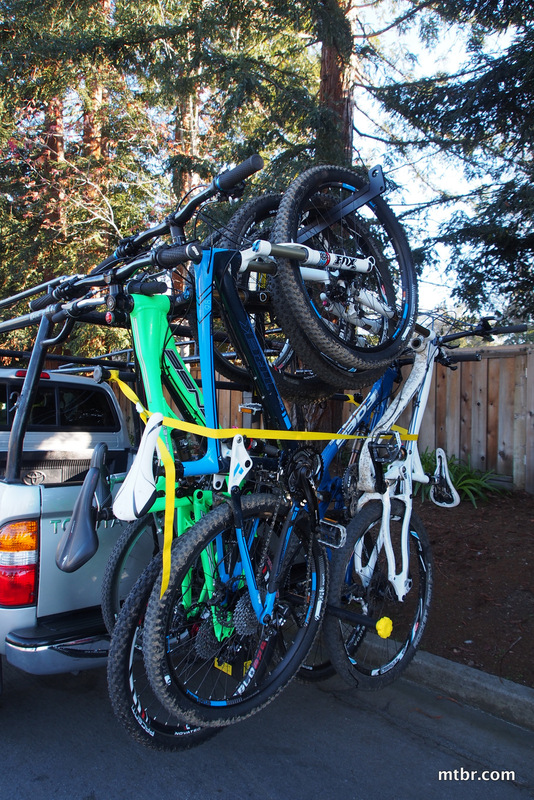 I ride DH…40lbs+ bike…there’s usually 5-6 of us going up to Northstar during summer time. 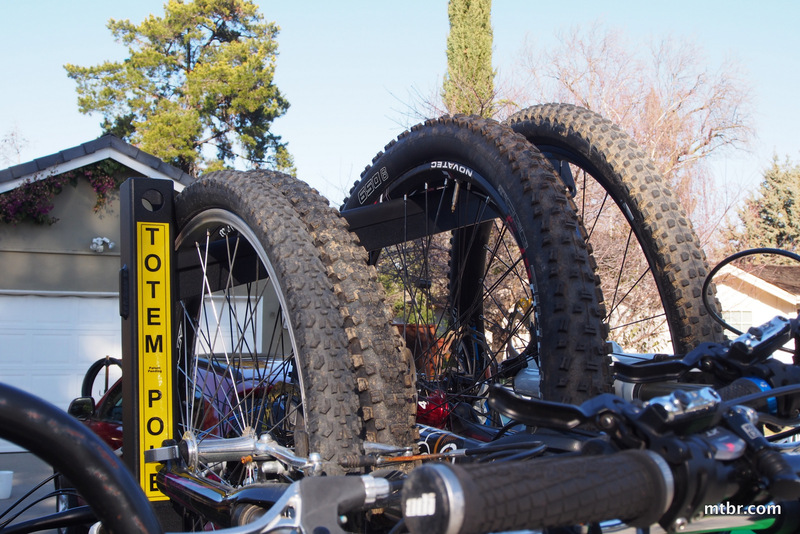 I was one of the first people to purchase a totem pole bike carrier. (I stalked their site weekly until they were for sale!) 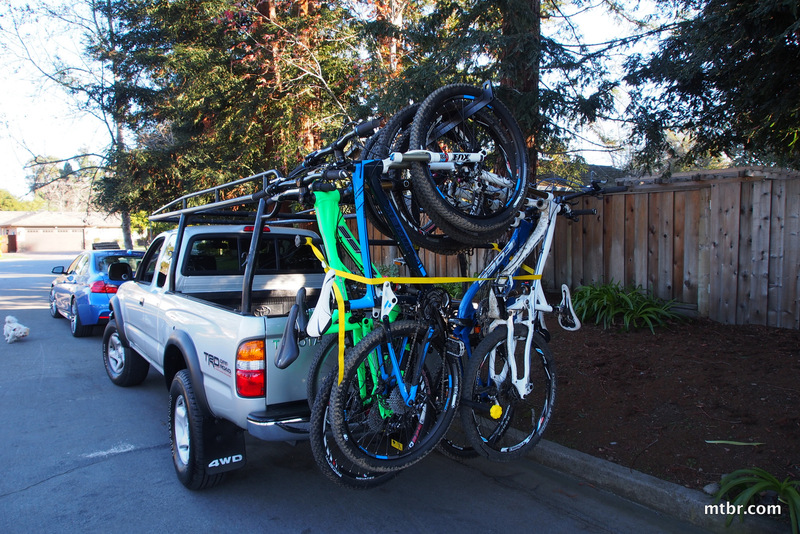 With my husband and four kids, it was impossible to go anywhere with six bikes! This carries has solved this problem. I first drove five miles on country roads and then went 40 more miles on the interstate. At first, I kept looking in the rear view mirror to make sure all was well. I was amazed at how little movement was going on with the bikes! I even ran over the curb while exiting the parking lot and there was very little movement! I only got to use the carrier a few times before it got too cold here in WI, but I look forward to using the carrier more this upcoming Spring. Just tonight I announced to our local Boy Scout troop that I have the most amazing bike carrier if anyone would like to borrow it for the cycling merit badge! Dog $hit! No thanks, I will stick with my T2. 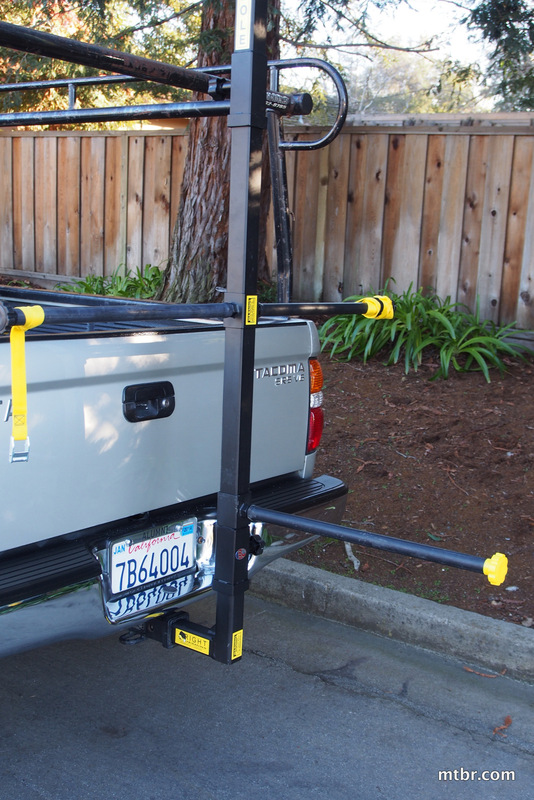 Hi, this is Chris and I invented this rack; Thanks for all being so kind with your comments, especially Oliver. 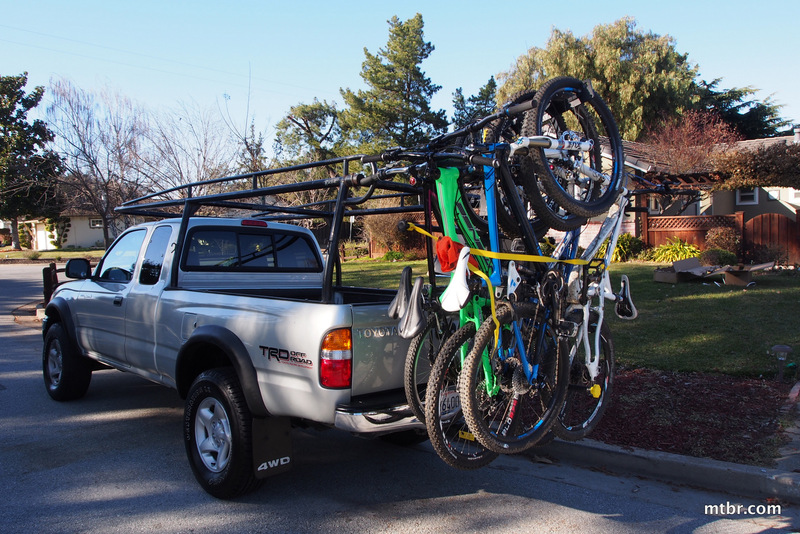 I made this rack so that my family of 6, with my wife and four small kids can all go biking together. It’s nice for them to read your comments, really appreciate the vulgar language thrown in there. But here is my challenge to you: Show me another rack that I can use to transport 6 bikes, ANY frame size or style, that I won’t need to take a second mortgage on, that fits in my trunk ALL the time, lets me unload/load in about a minute, and by the way, did I mention, can carry all of my SIX bikes? Thanks, and think about who reads your comments besides the joy you get in trashing something that you have not seen nor tried. 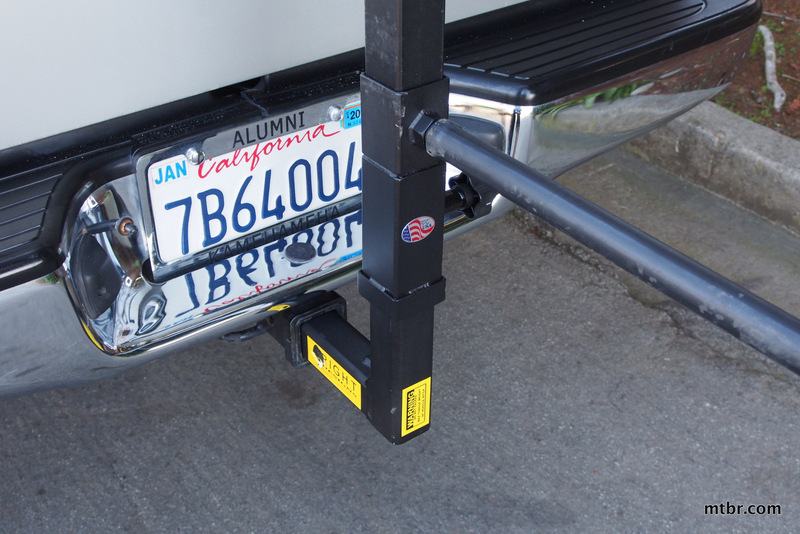 Great idea – I need something that fits a 2″ receiver on the back of my camper, and can carry at least 5 bikes… so i’ve recently started looking for a Plan B. while I’m still in shopping mode, this has a lot of merit. I have a family of 6. 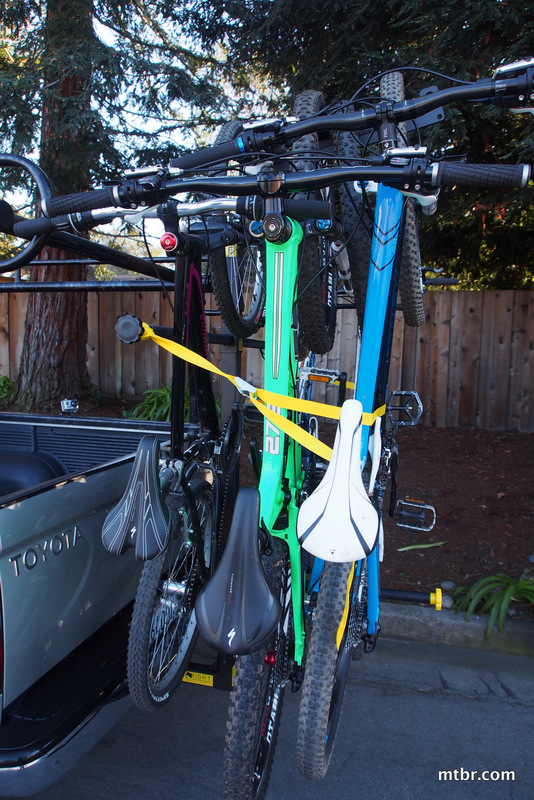 I can fit all of us plus *8* bikes in our minivan. 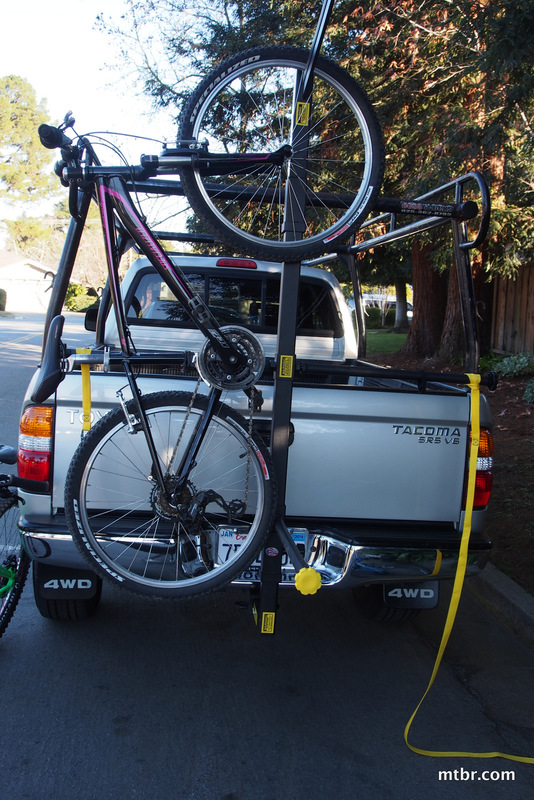 Allen 4 bike hitch rack ($120), 2 rocky mounts roof top carriers ($200) 1 homemade rooftop carrier ($25) and room for a small bike in the trunk. Not saying the totem pole is all bad, but it does have obvious flaws. (show me one that doesn’t) But this “review” makes it out to be the “one”. If one struggles with using a bike rack of any kind, please do not reproduce! The world does not need anymore mentally challenged than it already has. Yes, this is the internet, people will say things you do not agree with. Do not be afraid to be challenged or disagreed with. 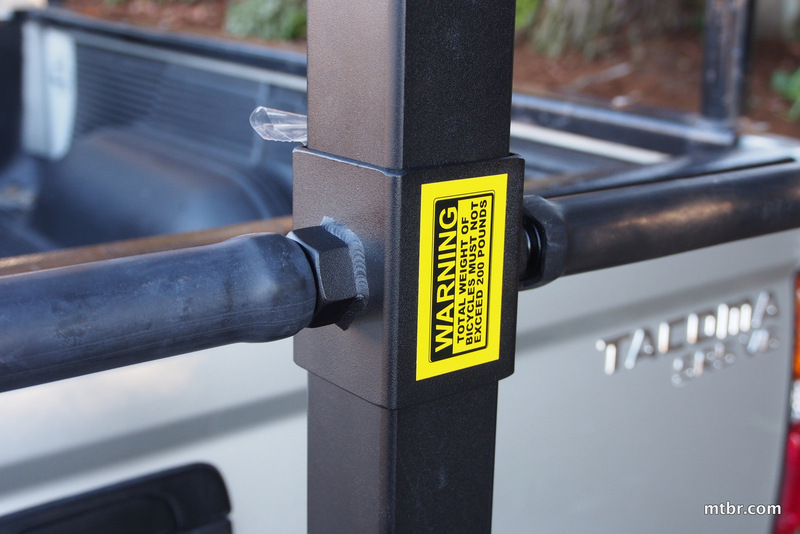 It is safe to say every product on the market is not perfect, especially new ones. 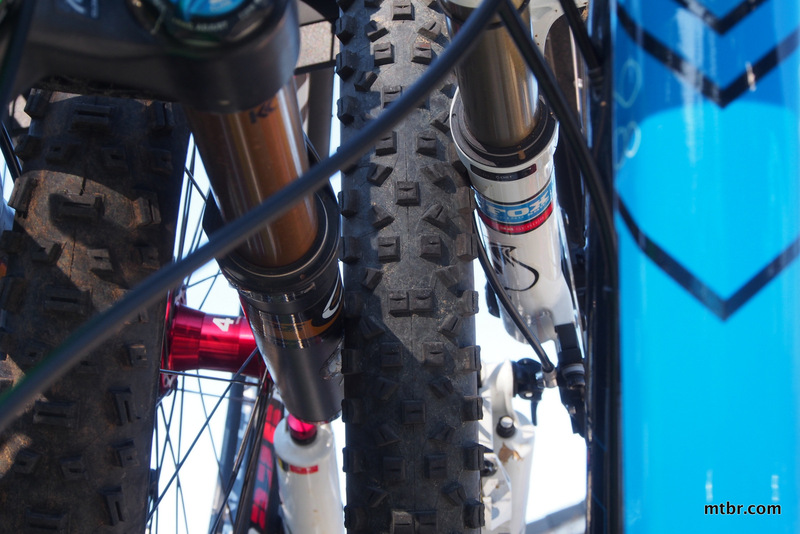 Providing “constructive” feedback will only enhance what the Totem Pole can provide by way of the consumer and the bike industry. If you haven’t purchased one, if you haven’t tried it — offer some sound advice, but do not judge. A professional organization, like MTBR, took the time to get their hands on one, tested it and provided “constructive” feedback. 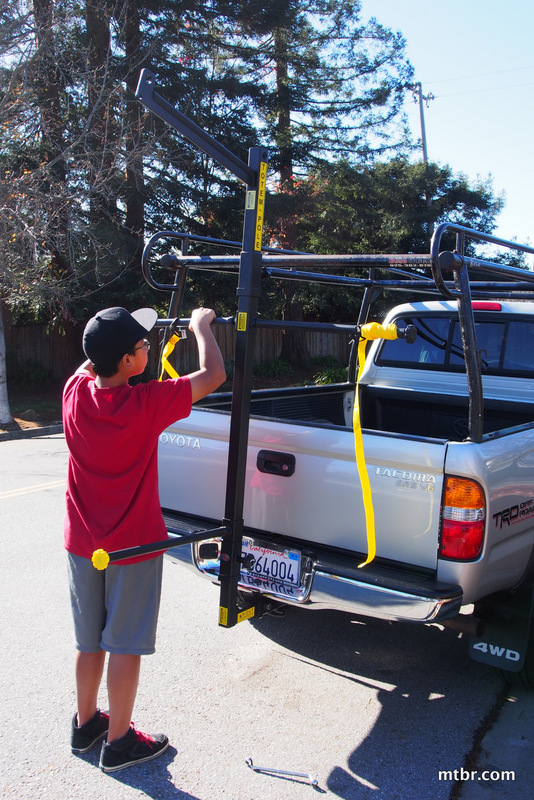 I got my hands on one for my family and this product far surpasses any bike rack on the market. It is price competitive, its ease of use is for any novice, no damage to any bike I have loaded on there, gets your family to any destination quickly and for the main purpose — to enjoy the hobby that we love as a family. So kudos to Chris on his innovation —- I’m sure the Totem Pole will evolve and become even better than it is today. 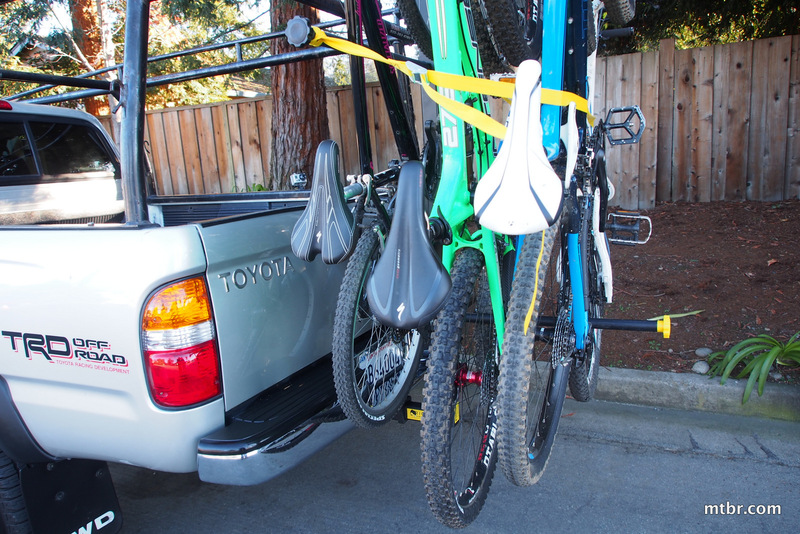 This rack is ideal for avid bikers that ride with others, and families that have more than two bikes of different sizes and orientations. 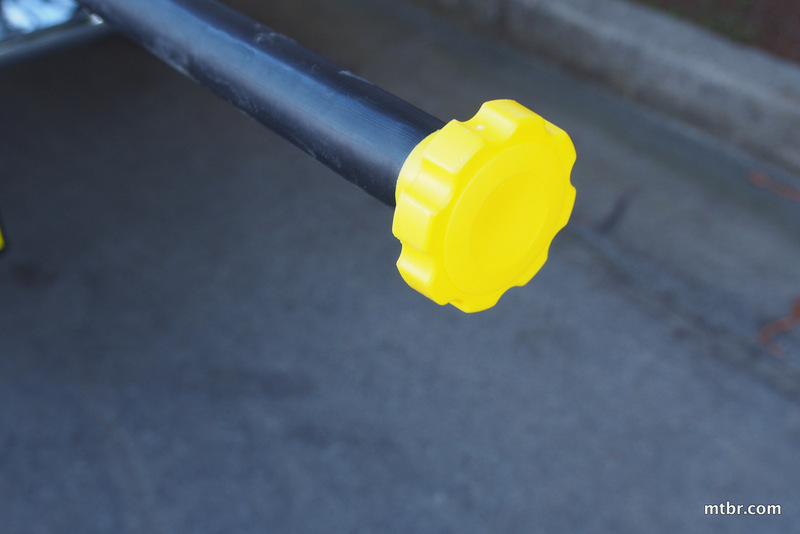 Quick, easy to use and durable…I am sure subsequent versions will continually improve on the original concept. 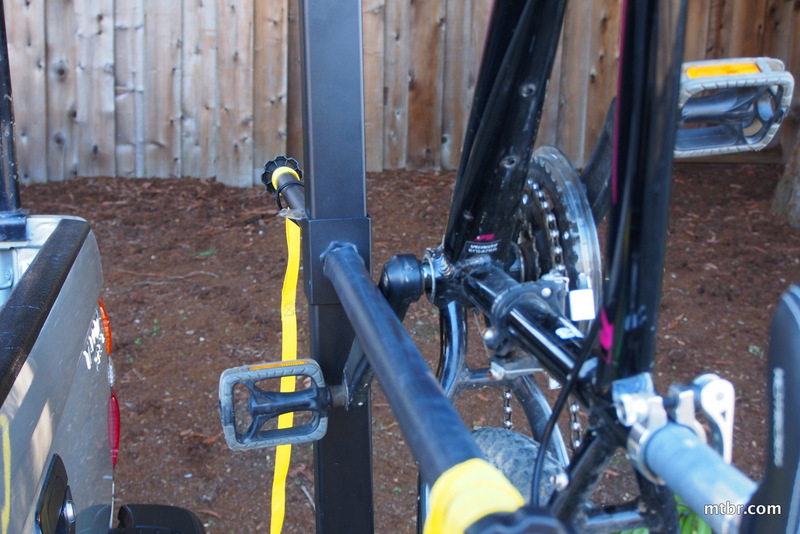 Finally a practical bike rack that works!! So easy to load and unload the bikes for the family that even I can do!! Thank you!! 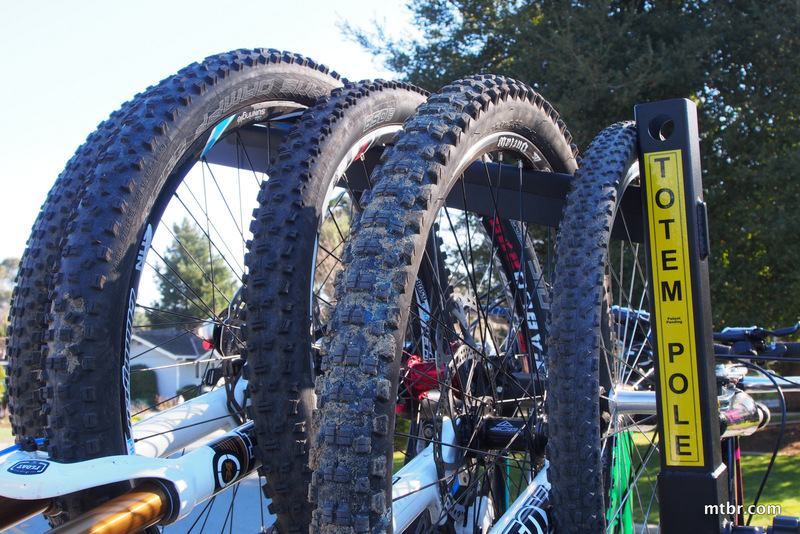 PLEASE WHERE CAN I BUY ONE TOTEM POLE BIKE RACK? 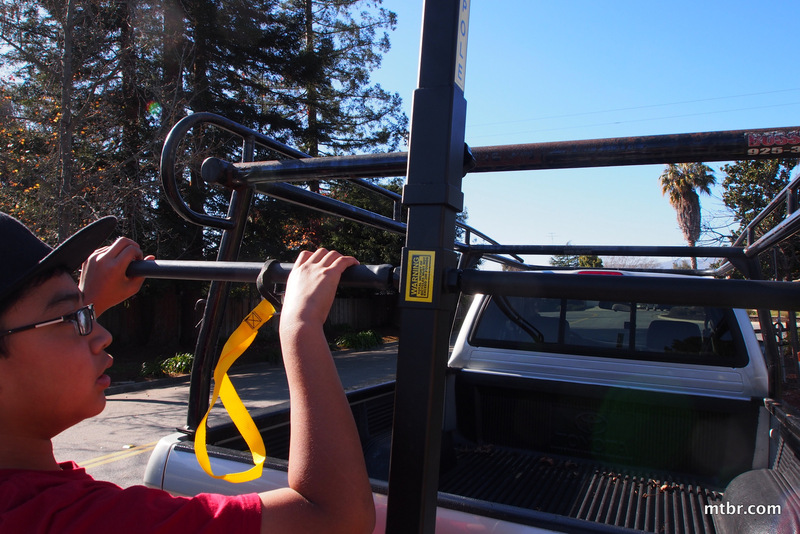 Late to the game, I got the earlier model of this (doens’t tilt down) and it works great for me and my 5 kids. 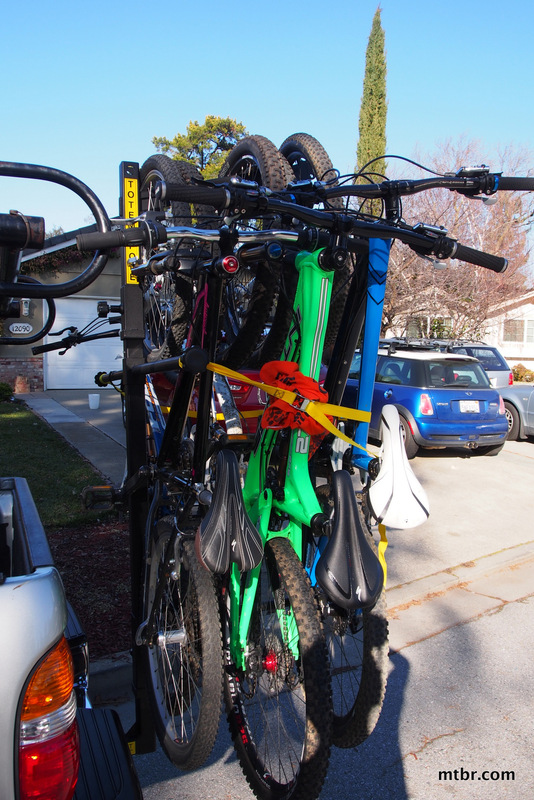 We haul 6 bikes AND a unicycle no problem on the back of my suburban. I have gone all over the place with this, and have had no problems with chipped paint or rims. 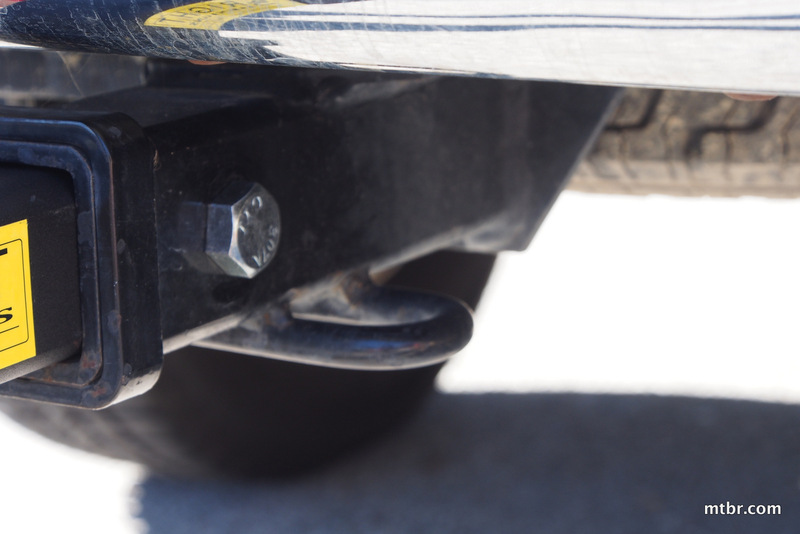 It has a nice rubber lip for the wheels. 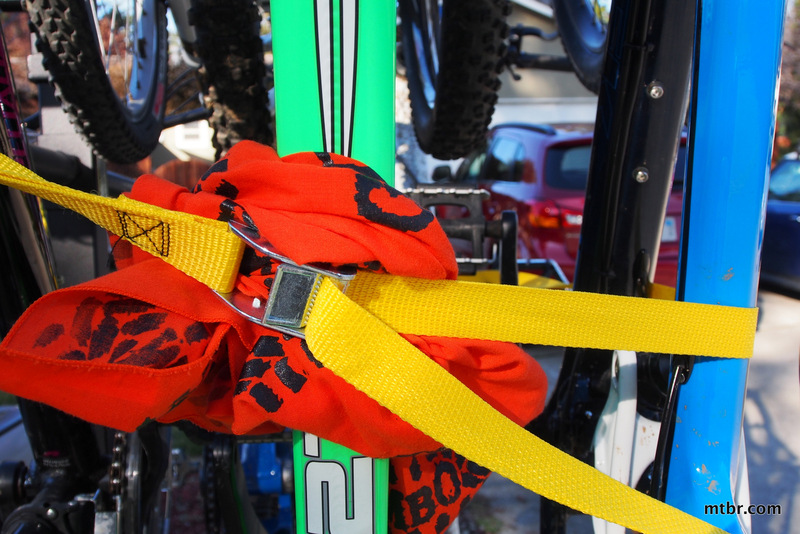 I keep it tied tight and really really like this solution. Thanks Chris!